Our guide was late but understandable due to traffic. I do wish we were called or emailed because after 15 minutes I was about to leave. You start with going on the public transportation which is fine but it was over packed and I mean extremely over packed. This tour should start at the first stop/bar. Our guide was extremely nice and knowledgeable. I sort of wished I picked something else to do on our last night in Lima but overall it was good experience. Lovely evening spent sampling drinks and local foods. 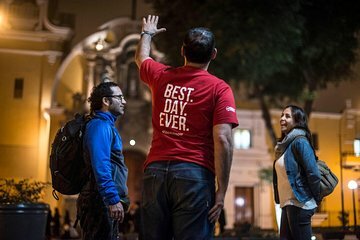 The tour makes three stops - one to the oldest bar in Lima, another to the food carts along the river, and a final at a bar just outside the square. I wasn't overly impressed by our sampling of food and drink, which included a Pisco Sour, anticuchos, two desserts donuts and pudding, a Chicano, and Peruvian beer. Our guide did a good job of answering cultural and historical questions on the tour, but I think you can sample the drinks and food easily on your own. The tour guide Paula was very nice and with a lot of knowledge.  Unluckily the rout was changed due to the Pop visit and all we had are two bars visit. There was too much walking/travel time between stops. Food was good but the portions were too large. This was a great way to get introduced to Picso, and to see downtown Lima at night. We really enjoyed this tour. My wife and I were lucky to be the only ones on this tour and our guide turned up on time at the major Plaza and whisked us off to our first bar within minutes! This bar is the oldest in Lima, an institution and does amazing drinks! We then had some fantastic street food, consisting of some anticuchos, picarones and others and this was brilliant! This is all within walking distance and the ambience was terrific. A few more bars later and our guide put us in a taxi back to the hotel. It was a great night, you meet some terrific local characters and it puts you at ease of where to go in such a monstrous city the Lima is! It really brings out a different side of Lima and gives you more confidence of what to do and where to go. Paula was a great guide to the city, I had a brilliant time getting to know her and seeing downtown Lima at night. The food and drinks included were really tasty too. A great night! My only negative comment was that the meeting point was so busy it took us a bit of extra time to find one another.